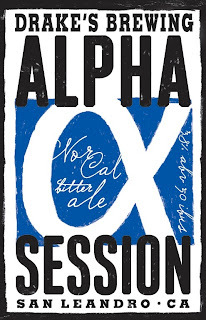 The Session Beer Project™: Drake's Alpha Session: Seasonal? WTF?! Hey, I screwed up. Drake's sent me samples of their delicious Alpha Session, and I didn't realize that it was a May seasonal! First, my apologies to Drake's for not getting the review up while the beer was actually available (and a plea: what would it take to get this on the year-round rota?). And second, my apologies to you, the readers, for not getting the review up while the beer was actually available! 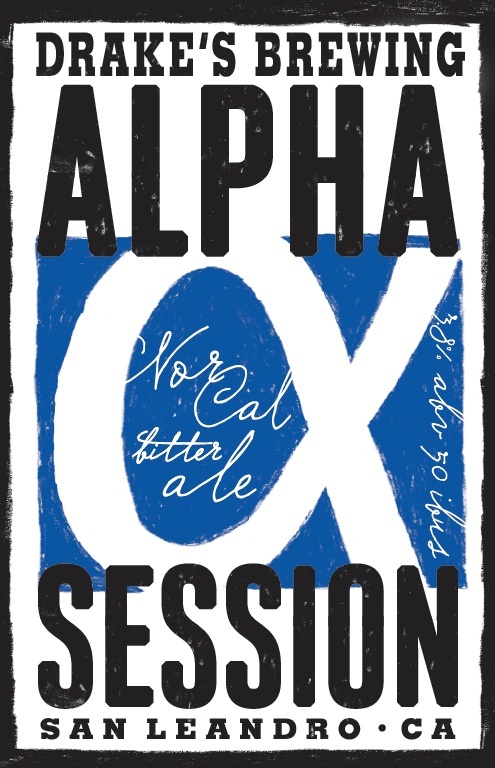 Drake’s Alpha Session – 3.8% ABV, 50 IBUs — Our hoppy session ale. Light and refreshing with 2-row barley, Maris Otter, and a touch of C-45 malts, but hopped up with classic West Coast hops and an ample dry-hop of Simcoe, Citra, and CTZ for intense flavors and aromas of pine, citrus, and grapefruit. We call it a NorCal Bitter. — Available in May on draft and in 4-packs of 12 oz bottles. And here's what I have to say about it: yeah, all that. This is what I think some folks expected from Stone Levitation: light, crisp body; intensely pine/citrus PNW hop aroma; serious but not tongue-crushing bitterness. It is a "bitter," but it really delivers on the bitter. Still...I found it very easy to drink two of these, boom-boom, right in a row, without tongue fatigue: nicely done. Now...about that year-round thing. If we commit to drinking it, will you commit to brewing it? !